Premium SUV segment in India is catching pace and automakers are syncing well with the same. Grand success of the Innova Crysta will keep the Japanese automaker relaxed for a while. Or will it? 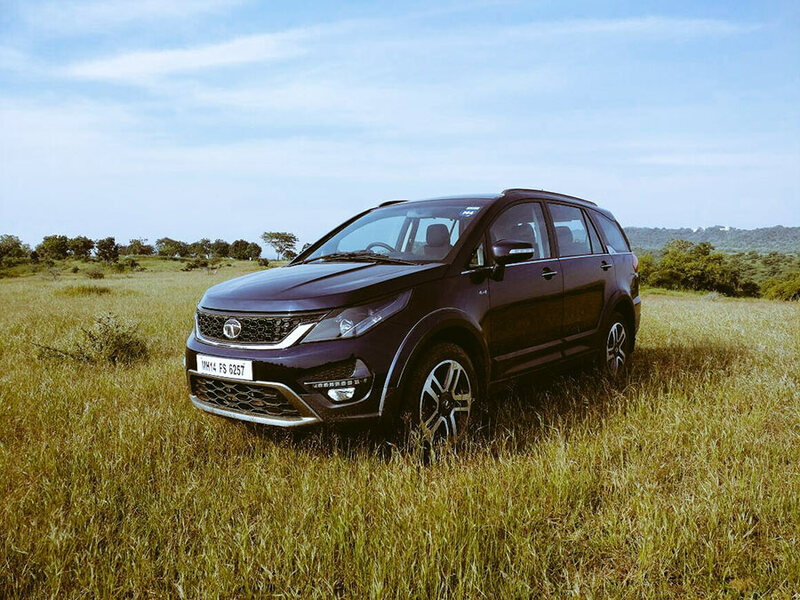 Tata is up for competition against the mighty new Innova Crysta with their newest flagship, Tata Hexa. Hexa, which will be based on the existing Tata Aria has created a buzz which excites to know how well it adds up against the Toyota Innova. 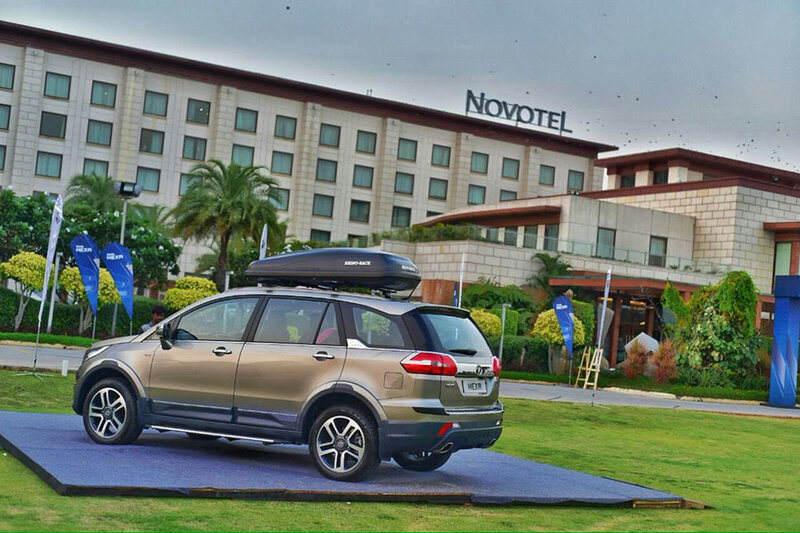 Tata will start the bookings for the Hexa from November 1st, the Cars are expected to be delivered in Jan 2017. Here is a list of features and the engine options Tata offers with the Hexa. 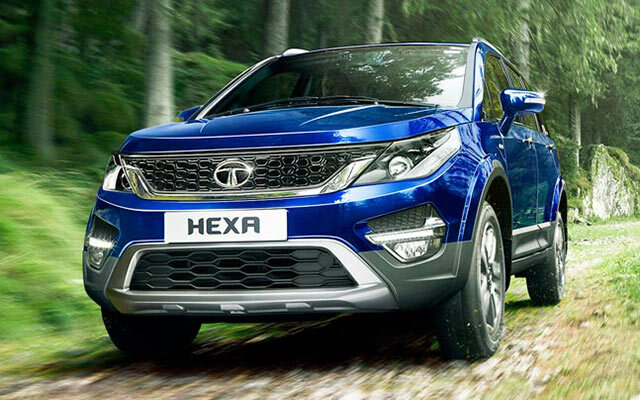 Tata is offering the Hexa in three engine options which come with the name XE, XM and XT. The XE option houses a varicor 320 engine which produces 150 bhp of power. The Varicor 320 engine comes only with the option of a 5-speed manual transmission while the XM ans XT both get 6-speed automatic and 6-speed manual transmissions. XM and XT models come with the Varicor 400 engine which produces 156 bhp and 400 Nm of torque. Varicor 400 gets the 400 number because of max torque it produces. There are options of 4×2 and 4×4 with respect to the XT models which come with 6-speed automatic transmission for 4×2 and gets a 6-speed manual transmission with the 4×4 configuration. Whereas the XE and the XM engines power only the rear axle with XE being 5-speed maunual and the XM being 6-speed manual and 6-speed automatic. All the models of the Tata Hexa come equipped with a lot of rich features. XE, XM and the XT get power folding wing mirrors, remote central locking, projector headlamps, steering mounted controls, cooled glovebox and tilt steering. Apart from these, there are additional features in the XM and the XT model. XM variant gets reverse parking sensors, heated wing mirrors, rear wipers, with defogger, 3 super drive modes, customizable interior lighting, 8 speaker infotainment system with bluetooth, USB, AUX and iPod connectivity, voice command recognition and body coloured ORVM’s and door handles. You think this is good? Not until you learn about the XT which gets Side and curtain airbags, ESP with roll-over mitigation, Traction control, Hill-hold & Hill descent control, Hydraulic brake assist, Reverse parking camera, Cruise control, 10 speaker Infotainment system with Bluetooth, USB, AUX and iPod connectivity, Automatic headlamps, Rain sensing wipers, Climate control, Leather seats, Leather wrapped steering wheel, 19-inch Alloy wheels, Daytime running lights (DRLs) and more. Being an SUV isn’t easy without looking bulky and purpose built. The Hexa looks apt with the plastic cladding all over the body. The Hexa plays well in terms of dimensions as well being 4,788 mm long, 1,791 mm tall with a ground clearance of 200 mm and a width of 1,903 mm. The wheelbase comes at 2,850 mm and has a fuel tank capacity of 60 litres. Tata Hexa will be offered with a 7-seater configuration and also a comfortable 6-seater option. Tata hexa falling under the premium SUV segment has got a tough competition ahead of it. The competition being the Toyota Innova Crysta, Mahindra XUV 5OO and the Mahindra Scorpio. Pricing comes crucial and if Tata wins it with the price then i can say Tata wins the market. 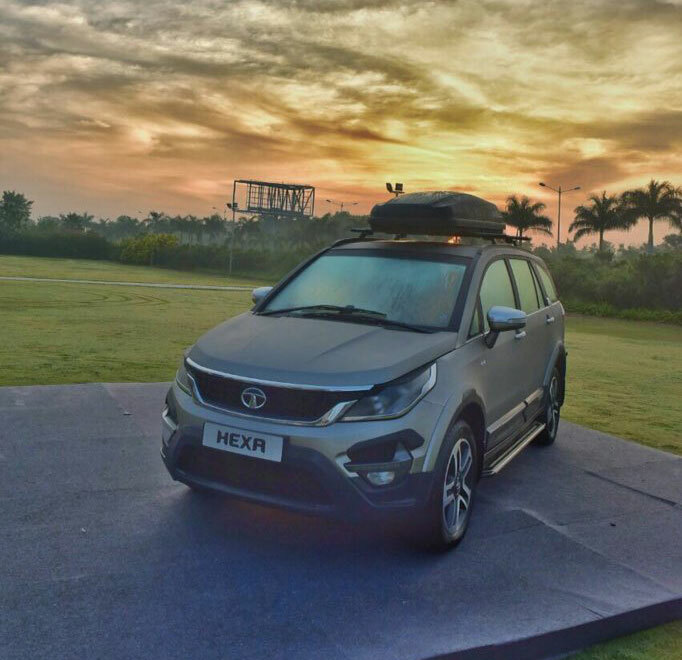 Tata Hexa is expected to be priced between 12.5-18 lakh rupees and the deliveries will start early next year. For more automobile news, like us on Facebook and subscribe to us YouTube. You can also follow us on twitter to stay close to news from the auto industry.